With the help of Danny "Dan-o-pedia" Goodall and George Cervantes (a local printer), we have designed the "Are You Ready?" gospel tract. While I had the "Crosswalkers" evangelism family in mind when I decided to produce the tract, this gospel tract will be an effective tool for any Christian sharing the gospel, in any context. 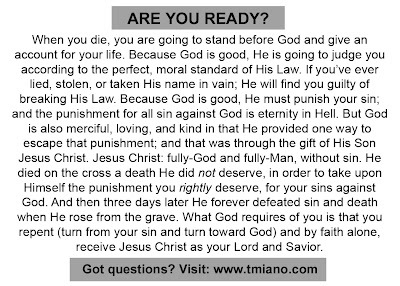 Depending on how well this tract is received, we may decide to design an "Are You Ready?" series of tracts. The tract's look and feel is that of a baseball card (2 1/2" x 3 1/2", on 16-point, semi-gloss, UV-coated, trading card stock). 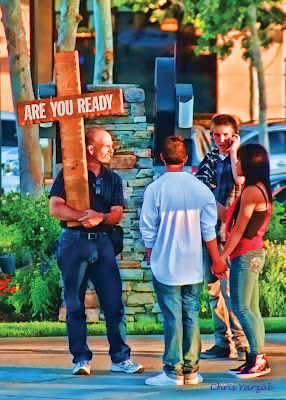 The front image of this first tract in the series is a photo taken by Chris Yarzab, with an artistic treatment by Dale Jackson. 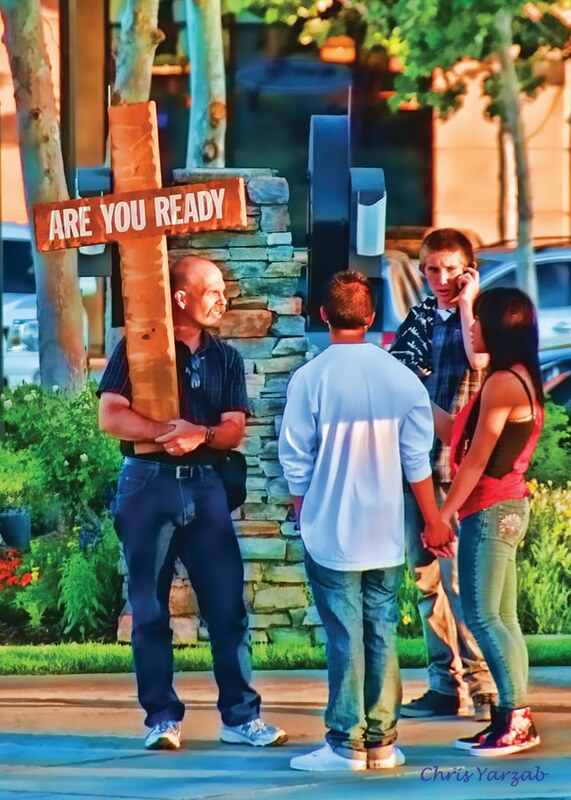 The image depicts an afternoon on a city street, with an evangelist engaging a group of teens in conversation. The back of the tract is a concise gospel presentation based on my one-minute Stop Light open-air text. The tracts are available in lots of 500, at $30 (plus shipping and handling) per lot. In other words: 500 tracts for $30; 1,000 tracts for $60, and so on. Shipping and handling will be determined by the size of the order. To order the first "Are You Ready?" tract, please contact Danny Goodall to place your order. These tracts are not available through Living Waters. 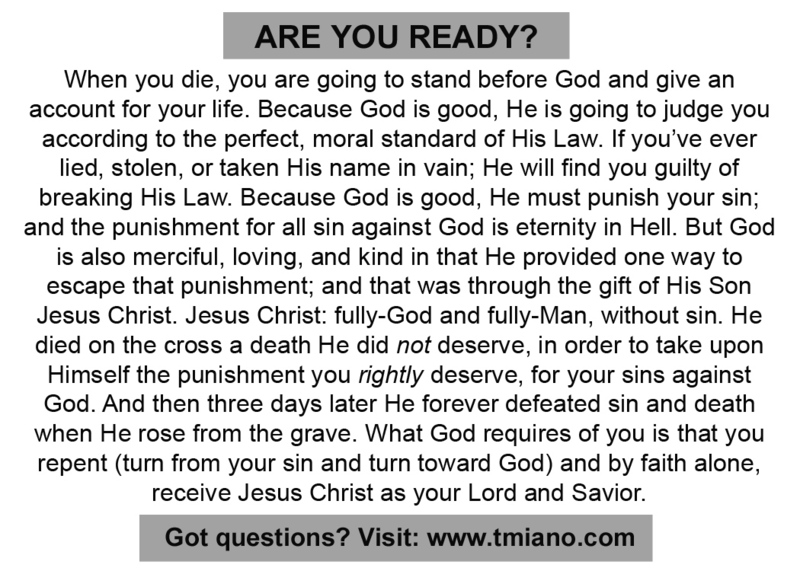 I hope this tract will be a blessing to you and useful in your efforts to bring the law and the gospel to the lost.